Various political, religious and social organisations have expressed concern over the Delhi court order to hang Mohammad Afzal Gooru and have sought a reconsideration of the order. According to a UNI report, Chief Minister Ghulam Nabi Azad met the Prime Minister in Chandigarh yesterday and sought Presidential clemency for Afzal, citing public sentiment in the valley against the verdict as reason. A Division Bench of the Punjab and Haryana High Court today issued notice of motion to the Punjab government, the DGP and others on a PIL seeking strict action against the Punjab Police personnel involved in the molestation of girls during a protest by students of Guru Angad Dev Veterinary and Animal Sciences University at Ludhiana on September 21. 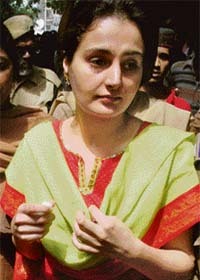 A special CBI court here today sentenced a former Bollywood actress and associate of underworld figure Abu Salem, Monica Bedi, to five years in prison for obtaining passport using a fictitious name and address. The Manmohan Singh Cabinet today approved Rs 16,978.69 crore rehabilitation package for farmers in suicide-prone districts in four states, but Punjab did not get even a penny. The Prime Minister had raised the hopes of farmers in the state by his assurances in Ludhiana, but on his return to the Capital, the plight of Punjab farmers was far off the radar of the Cabinet and was not covered in the farm package. A petition was today moved in the Supreme Court challenging the decisions of some states, including Haryana, Punjab, Maharashtra and West Bengal, for establishing special economic zones by acquiring agricultural land from farmers, saying that it violated their right of livelihood. 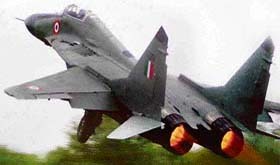 Failure of both engines in the IAF MiG-29 fighter aircraft led to its crash near Ambala yesterday. I am sure Rahul and Greg have been doing a great job for the team.